Six months of using Face ID and not a day goes by that I don’t miss Touch ID. I was skeptical before iPhone X came out and I was pleasantly surprised how well it worked in recognising my face. However, turns put I was worried about the wrong thing. I was worried about the technology whereas the problems that have surfaced are almost all about usability. It is just slow enough to be annoying - this won't be a big deal if I didn't have to encounter it every single time I try to use the phone. Doesn’t work while skiing or wearing heavy face gear - this not too different from Touch ID - but it was much easier to get your glove off and get Touch ID working than to take your glove off - wait for Face ID to fail - and then enter your code. Apple pay is way worse. Awkward, slow and in your face - me looking at the phone - the cashier looking at me. Since Face ID is here to stay, I saw wish Apple would also add Touch ID somewhere on the phones - maybe at the back? Oh well, we can dream. This might just be the best news Flickr and it’s loyal users have received in years. Probably ever since it’s heyday in 2005. Among all the photo sharing services, Flickr has always been the most photography centric. I had always been a fan and stayed with it until it landed up in Verizon’s lap. While I don’t expect a resurgence, I do hope for it to become a more relevant, sustained service under smug mug. Hopefully the recent backlash against Facebook and hence Instagram helps some folks to reconsider Flickr as an alternative social media platform for photographers. My encounter with authors that I love whose books I cannot stand seems to continue. 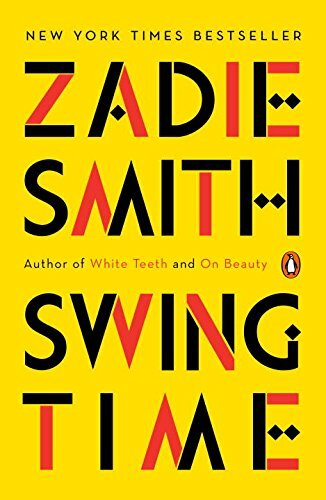 Swing Time is tedious, boring and a chore - and yet - Zadie Smith's writing is so beautiful - you want to hang it on the wall. Swing Time starts out well as a story paralleling the lives of two young girls of color in London and discusses their similar but different experiences. This is the fun part. As the girls grow up, the wheels seem to largely come off. And as always, I often wonder - are bad stories just an indication of bad reality? Art imitating life again? The cogent personal experience of the first part dissolves into a rather detached, outsider peering into their own life hoping to find something more than was really there. Good writers can often find more in banality than most of us can in significant events. But Smith, as great as she is, struggles to make gold out of this mud. Every sentence, beautiful in it self, fails to tell a story of any merit.